Let R be a commutative ring with identity, let M be an R-module, and let K 1, . . . ,K n be submodules of M: We construct an algebraic object called the product of K 1, . . . ,K n : This structure is equipped with appropriate operations to get an R(M)-module. It is shown that the R(M)-module M n = M . . .M and the R-module M inherit some of the most important properties of each other. Thus, it is shown that M is a projective (flat) R-module if and only if M n is a projective (flat) R(M)-module. 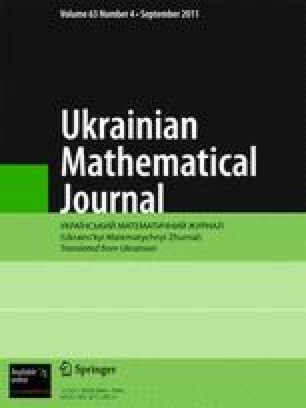 Published in Ukrains’kyi Matematychnyi Zhurnal, Vol. 63, No. 4, pp. 502–512, April, 2011.